I have been a contributor of The Town Line news for a number of years now. I am a 100 percent service connect American veteran and have been aiding veterans in the development of difficult cases by all service organizations standards. I have seen VA refusals many times because of cases that couldn’t/ wouldn’t be developed, too time consuming or very difficult to prove. Most things can be proven if not frivolous. Your records were lost in a fire was the popular excuse. Some were in fact destroyed by fire but many were preserved and protected. Anyway, I am writing this to give my opinion based mostly on hearsay. However, when there is a lot of hum there is usually a hive. Lately the Veterans Administration has undergone a lot of trauma. I would like to share a little of that in hopes for feedback. Veterans’ need media to vent their feeling and concerns. I can assure you this veteran will search for the answers for you. Whether you agree or not you will receive an answer. For those of you who aren’t aware, the Togus Pharmacy will be partially down from October 22, 2018, for approximately nine days because of a flood. Also another of my pet peeves is the fact that orthopedics is hurting for doctors and they have nowhere enough service rooms for the vets in need. The executive director Ryan Lilly could have prioritized the expansion of the medical side but elected to do almost nothing. Now there is a new director who has started off on the wrong foot; so I don’t see longevity there. However, the VA, in its infinite wisdom, elected to promote Mr. Lilly to the head of the region and demote Kurt Johnson, the assistant director, to a paper pusher. He use to be the head of pharmacy but his friendship with Mr. Lilly somehow got him promoted to assistant director. It is fairly well known they are/were close friends. There is a federal case involving prejudice involving Mr. Lilly and Mr. Johnson. The power-that-be overlooked the situation or have no knowledge of it; which means they didn’t do their homework. It was sad for me to see Senator Susan Collins and Rep. Chellie Pingree joining forces at the new homeless housing complex developed on federal land. I am a veteran and support veterans with unfortunate circumstances but I don’t believe housing should be built on the 500 acres at Togus. It should be done but, in my opinion, is in the wrong place. That is a medical facility which could develop into the greatest in our country. I have said that many times. Lilly made the statement and believes that he had more land there but wasn’t sure what he would do with it. Some of that land is wetland and the habitat for various many wildlife and fish. Last but not least, the director that replaces the promoted Lilly has just closed down the Veterans Record Retrieval window placing a state of mayhem there with a considerable workload shift on those employees. New people to the records who do other things will try to pick up the slack. The more they squeeze to make themselves look good to Washington, the more they eat on veteran services. They spend their money on bad who knows what; but it isn’t something you can see. They are building a small new building directly across from emergency to further congest and demean the beauty of the Togus facility. With 500 acres you can do better than that. Many of us are getting “farmed out” now because they don’t have time for us or they don’t have the proper room, tools, ability and doctors. Thanking a vet is not enough. You need to learn respect, responsibility and remember why you don’t speak Korean, Japanese, German or Russian. 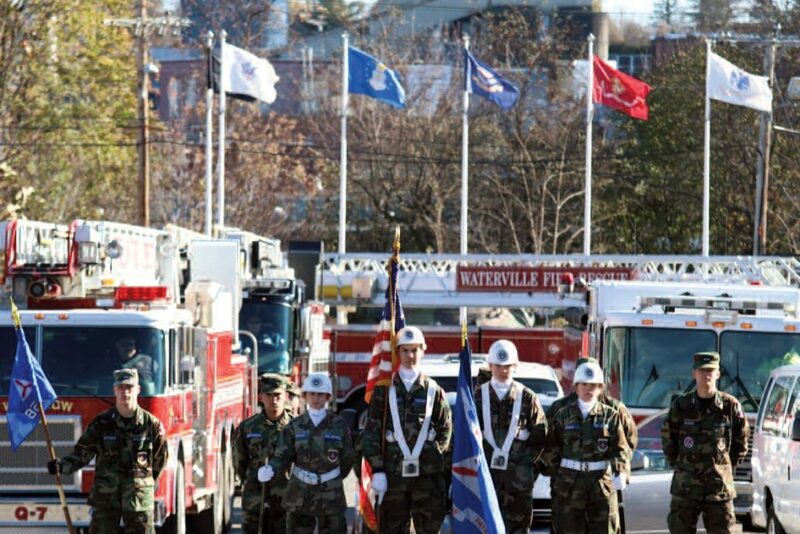 We are the land of the free, home of the brave and no matter how bad we hurt we were there for you. The oversight of VA and how it evolves for the vet is the first priority. There is much more but this is enough for now. 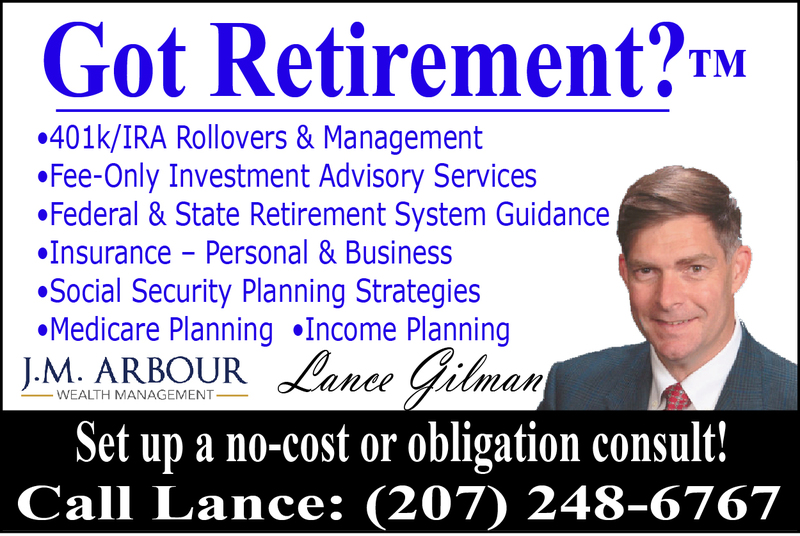 You can call me at 458-2832 and I will try to assist in anyway I can. We can keep our affairs alive through media. Community Commentary is a forum The Town Line makes available for citizens to express their opinions on subjects of interest to our readers. The Town Line welcomes, and encourages, differing opinions, counterpoints or opposing views. Keep the rebuttals positive and informative. Submissions containing personal attacks will be rejected. Recently, representatives of the Sheepscot Lake Association have referred to Webber Pond in articles about alewives submitted to The Town Line. I am writing to respond. I am the president of the Webber Pond Association. I think it’s important for the public to know that in the last 20 years, sea run alewives have been restored to Webber, Sebasticook, Three Mile, and Togus ponds. People living on those lakes are generally happy with the result. Sea run alewives are anadromous. The adults live in the ocean and, like salmon, spawn in fresh water. They need passage to get to their spawning grounds. Afterwards, the adults go back to the ocean, get eaten, or die. The juveniles live in the lake during the summer and then egress back to the ocean in the fall. It’s not unusual to see them leave Webber Pond in August. It’s not unusual to see them leave Webber Pond in November. Again, they need passage to make the journey. It is possible (but rare) for them to become entrapped and die – if egress is obstructed or insufficient. There is another species of alewife, the landlocked alewife, which is common in New York. 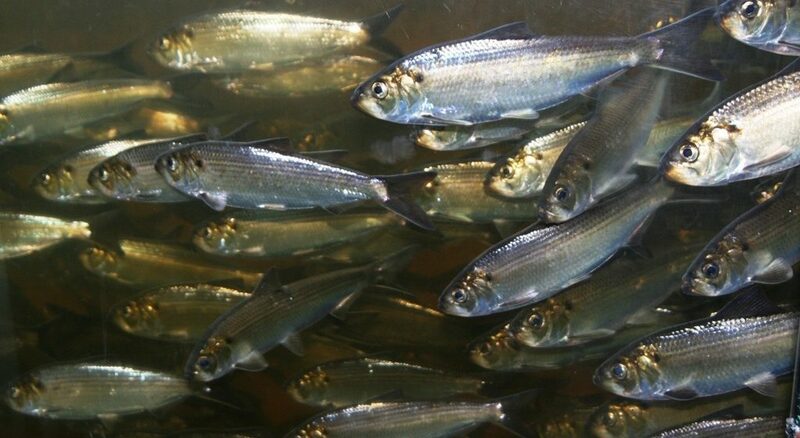 However, sea run alewives do not become “landlocked” in the sense of ever adapting to living in a pond year round. 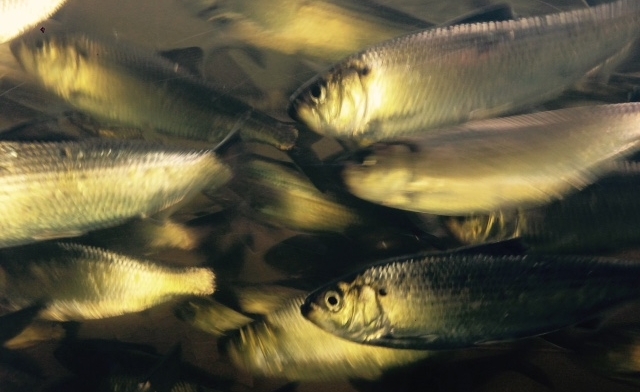 Sea run alewives are the way nature exchanges nutrients between the marine and inland ecosystems. They were substantially extirpated by the building of dams during the 1800s. Twenty years ago, the Maine Department of Marine Resources began to restore these useful fish. Additional spawning areas mean that more adult alewives are in the ocean to support the marine fishery; by serving as forage for haddock, cod, stripers, and other ocean fish. They are harvested during the spawning run and have already created a multi-million dollar lobster bait industry. Alewives also benefit inland lakes. As the juveniles grow during the summer, they sequester phosphorus in their tissues. Because there are tons of little alewives, there is less phosphorus in the water to fuel algae blooms. They take it away in the fall when they leave. Locally, Webber Pond, Sheepscot Lake, Three Mile, and Togus Pond all substantially cleared following the restoration of sea run alewives. However, the little fish are not magic. All those lakes still experience blooms from time to time. Twenty years ago, alewife restoration was controversial. The Webber Pond Association assented to it somewhat reluctantly. Because of successful restorations on a number of lakes, alewives are more positively received today – except in Palermo, where the Sheepscot Lake Association is engaged in a political campaign to block returning them to Sheepscot Lake. I have been following a recent series of articles from representatives of SLA and 2 critical responses, by people I do not know. In my opinion, the objections to “slippery facts” are justified. For example, [in the September 14, 2017], issue of The Town Line, an article by Roland Hallee is cited to promote the idea that alewives are adding to the nutrient load of Webber Pond. Roland is the editor of The Town Line and also a member of the Webber Pond Association. This was not a science article. It was a summary of last year’s meeting of the Webber Pond Association, where a discussion occurred about a complex, mathematical, nutrient import/export model. The officers and directors of the Webber Pond Association have questions about how many is too many. At a minimum, we believe we have way more than we need and support increasing the harvest. Last year, our vice president made comments about the run increasing so much that we might be getting to the point where spawning adults were bringing in more nutrients than the juveniles were taking out. He spoke in good faith and used appropriate caveats. It’s a fact that he raised the issue. It’s not a fact that a nutrient imbalance actually occurred. For that you would need measurements and an assessment by a qualified person. Our vice president also attended the recent Sheepscot Lake Association meeting. He was the one who asked, “If you don’t mind my asking where did you hear something like that?’ when someone referred to mass die offs on Webber and problems with the fishery. He advised that he’d lived on the pond for 30 years and there had been no mass die offs. Similarly fishing was good. Funny, nobody thanked him for setting the record straight. It isn’t clear where the Sheepscot Lake Association is getting its information. They haven’t reached out to any of the nearby lake associations. Similarly, it isn’t clear who they are using as their science advisor, or even if any specific person with appropriate credentials is working with them. I know that they have not consulted with the Department of Marine Resource, which with 20 years of restorations behind it now, is one of the leading agencies in the country with respect to alewife restoration. I can confidently assert that it would be difficult to find an appropriately credentialed person who would back up many of the claims SLA is making in The Town Line. If there is one, maybe SLA can get them to step forward and write an article. I am all but certain that Roland will print it. Community Commentary is a forum The Town Line makes available for citizens to express their opinions on subjects of interest to our readers. The Town Line welcomes, and encourages, differing opinions, counterpoints or opposing views. Keep the rebuttals positive, and informative, as submissions containing personal attacks will be rejected. http://townline.org/wp-content/uploads/2016/06/TownLineBanner-1030x206.jpg 0 0 Website Editor http://townline.org/wp-content/uploads/2016/06/TownLineBanner-1030x206.jpg Website Editor2018-08-15 14:45:422018-08-15 14:45:42COMMUNITY COMMENTARY: Where is SLA getting their information? Ms. Viens provided no evidence of her claim that anadromous fish restoration “would have had a negative impact on the health of the lake.” Ms. Viens also failed to note that L.D. 922 would have also (1) required the Department of Inland Fisheries and Wildlife to cooperate with the Department of Marine Resources (the two agencies have had and continue to have a decades long turf war over anadromous fish restoration vs. maintaining artificial freshwater sport fish populations), and (2) require the Department of Marine Resources to develop a management plan for Sheepscot Pond for anadromous fish species and habitat. Opposition, including from shorefront property owners around Sheepscot Pond resulted in the bill being withdrawn. I have fished Sheepscot River below the outlet dam and have never seen the fishway functioning. In my opinion, it serves no purpose and needs to be replaced. The bill in question would have required that the existing fishway be kept open and operational from April 15-June 30. Unfortunately, It did not address the functionality/suitability of the fishway or downstream fish passage for adult and juvenile alewives from Sheepscot Pond. I believe that local opposition to anadromous fish restoration in Sheepscot Pond has more to with perceived negative impacts on property values than it has to do with “the health of the lake”. Concerns about water quality impacts are, in my opinion, a red herring. One lakefront property owner I spoke with who lives in Oakland, was mainly concerned about potential negative impacts to the value of her property and lampreys wrapping themselves around her daughter’s ankles. When I asked her to provide any credible scientific evidence of negative impacts to Sheepscot Pond, she did not. Ms. Viens noted that a representative of the Highland Lake Association will be coming to talk to the SLA “…regarding their experience with alewives and the impact on their deteriorating water quality….” This statement makes the assumption that alewives have, in fact, caused water quality in Highland Lake to deteriorate. There is NO scientific evidence to support this assumption. Highland Lake has suffered from human caused excessive nutrient loading and deteriorating water quality for decades. While I strongly encourage efforts to assess and improve water quality in Maine’s lakes, those efforts should not be based on hearsay and unproven assumptions. They should be based on science. If the SLA wants to hear from those familiar with waterbodies that have healthy anadromous fish populations, perhaps they should hear from someone representing Damariscotta Lake, where the alewife run into the lake exceeds one million fish annually. Sheepscot Pond has been home to anadromous fish populations for milennia. If anyone or anything has caused harm, it is humans who dammed the lake and upset the natural ecosystem. Maine is finally working to right these wrongs by restoring anadromous fish runs up and down the coast. Despite red herrings, roadblocks, and other delaying tactics, it is only a matter of time before the natural ecosystem of Sheepscot Pond will be allowed to return, as well. Letters to the Editor: Are we on a path to national suicide? I must preface this letter by acknowledging most are not my words or thoughts, but those of a Mr. Patrick J. Buchanan, but will close with my words. Agree that Trump should not have called Haiti a ***hole country, but for some interesting history on Haiti. Please peruse the following concerning the Haitian Massacre of 1804. After enslaved Africans defeated the French military in 1804, and established Haiti as the first black country in the Western Hemisphere, a mass killing of all non-blacks occurred. The ethnic cleansing of all whites was ordered by Jean-Jacques Dessalines, the first ruler of independent Haiti. Through the entire territory of Haiti, from February to April, 5,000 people of all ages and gender were massacred. Today, Haiti is considered one of the most violent places in the Caribbean where assaults, street muggings, even bank robberies, are commonplace. Trump was not wrong, just vulgar. Now, something to think about. In U.S. presidential elections, persons of color whose roots (no pun intended) are in Asia, Africa and Latin America voted 4-1 Democratic. And against the candidates favored by America’s vanishing white majority. Not for the first time, liberal ideology comports precisely with liberal interest. Mass immigration means an America in 2050 with no core majority, made up of minorities of every race, color, religion and culture on earth, a continent-wide replica of the wonderful diversity we see today in the U.N. General Assembly. Such a country has never existed before. Are we on the yellow brick road to the new Utopia or on the path to national suicide? My closing thought or observation is to ask ourselves the following question: What did immigration do for the Native Americans? Looking forward to your answer. Would you like to share your views? Write us a Letter to the Editor by sending us an email at townline@fairpoint.net or visit our contact page. Put “Letter to the Editor” in the subject. http://townline.org/wp-content/uploads/2016/06/TownLineBanner-1030x206.jpg 0 0 Website Editor http://townline.org/wp-content/uploads/2016/06/TownLineBanner-1030x206.jpg Website Editor2018-03-14 18:12:092018-03-15 03:53:33Letters to the Editor: Are we on a path to national suicide? It is alarming that those who favor passing bill LD922 are either uninformed or not concerned with the consequences of opening the fishway at the Sheepscot Pond dam to allow alewife herrings, American eels and sea lamprey eels access to the lake during spring spawning season. Even the conservationists and environmentalists who tout restoring the historic spawning ground of native fish ignore history which will be repeated if this bill passes. During the 1970’s-80’s the fishway was opened and during seasons of low water levels sea lamprey eels became landlocked. They “wintered over” causing them to feed on the sport fish populations resulting in diminished catches and emaciated togue, landlocked salmon and bass. The Maine Department of Inland Fisheries & Wildlife recognized the problem and closed the fishway during the spring spawning season. Now 30 some years later the lamprey population has diminished so that game fish are caught without lamprey wounds. They are healthier and of normal weight. The lake now hosts several fishing derbies every year. If the supporters of LD922 were not distracted by the profit motive of alewife harvesting to supply bait for the lobster industry, they would take notice of the turnaround Sheepscot Pond has made and recognize the value of such a healthy and prolific lake to the community and all who now enjoy its recreational attributes not to mention supporting the tax base for Palermo. LD922 offers us, the true stakeholders of Palermo and Sheepscot Pond, nothing but risk. It tramples on the rights of the “little guy” and feels downright un-American and wrong. Have an opinion about something? You could be featured in our Community Commentary section! 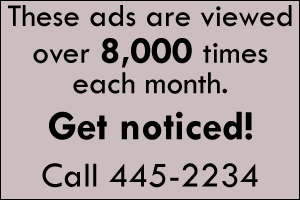 Send us an email at townline@fairpoint.net or visit our contact page. Feelings are running high in some communities about the potential re-introduction of sea-run fish species into Sheepscot Pond and the potential for these species to impact the fresh water fishery through disease and predation. The front page article in The Town Line newspaper on January 25 quoted several reasons why a couple of community groups oppose the re-introduction of these species. Many of the points listed were misleading and did not give appropriate context, and some were outright false. It is crucial to remember that both alewives and sea lampreys are native to Maine and our rivers, lakes, and ponds. They both spend time at sea and migrate back to lakes and rivers to spawn. Sheepscot Pond represents 40 percent of the historic alewife habitat above Head Tide in the Sheepscot River. Many Maine lakes have healthy runs of alewives and other sea-run species and also maintain healthy populations of freshwater game fish. Alamoosook Lake, in Orland, has had an alewife migration for years, and the U.S. Fish and Wildlife Service has a hatchery there. The lake has a healthy fresh water fishery that includes salmon, brook trout, brown trout, bass, and eel. The U.S. Fish and Wildlife service tested alewives from the St. Croix River from 2014 to 2016 for seven different diseases. None were found to be carrying any diseases. The Maine Department of Inland Fisheries and Wildlife has been offered assistance to ensure there is proper filtration and disinfection of water at the Palermo facility. Even though most other IF&W hatcheries have this equipment, the Department has so far chosen not to accept the help. Adult sea lamprey cannot survive in freshwater and die after spawning. As young adults, they are primarily trying to get to sea, not feed when they do attach to fresh water fish. It is very common to install small notches in a dam to make sure young adult lampreys can get to sea with a trickle of water, even if water is not flowing over the dam. Sea lamprey are probably already in Sheepscot Pond. They can get through the open fish ladder at the Coopers Mills Dam, into Long Pond, and over the Sheepscot Pond dam as long as water is flowing. The proposal in front of the legislature would open the Sheepscot Pond fish ladder year-round, that IF&W currently blocks for two months of the year. Water already flows over the dam, especially in the spring. U.S. Geological Survey records show the Sheepscot River flows at an average of 734 cubic feet per second in April. 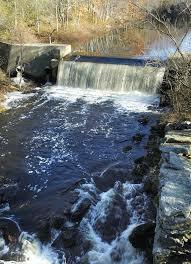 The fish ladder at Sheepscot Pond is designed to use about 6 cubic feet per second. Allowing the fish ladder to be open increases flow to the river by only 0.82 percent. 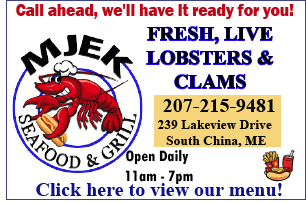 The lake level would not be significantly affected. We should be thoughtful about how we make this decision and depend on the science. There is abundant evidence that restoring fish passage to the entire Sheepscot River is beneficial for all native fish species and the Sheepscot Pond ecosystem.